January 2019 – We are no longer updating the rankings for the 2018 class of rookies as they are now established NFL veterans. Please see our latest Dynasty Rookie Rankings for information and analysis on the most recent class of incoming rookies. You are viewing a limited sample list of our dynasty rookie TE rankings. Our full set of rankings include improved functionality, tiers and comments by ranker, and more. If you wish to view the complete list of rookie rankings, please consider one of our DLF Premium Membership options. Gain Instant Access to ALL of our rankings and much more! 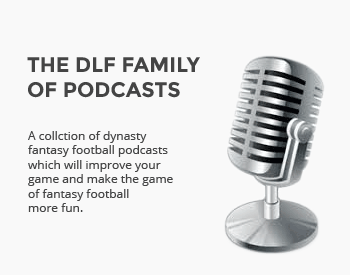 Try DLF Premium for only $7.99 with a Monthly Subscription. Or, open a new DraftKings account for only $10 and receive a FREE YEAR of DLF Premium! Our complete rankings also include industry-leading features to help you with your dynasty research. Already a DLF Premium Member? ?